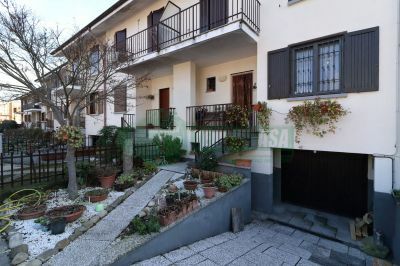 Spacious terraced villa in the center of Settala near the Town Hall, set on two living levels plus a tavern and garage. The solution is completed with a garden of 130 sq.m. Tempocasa is a group that has been on the territory for more than 20 years, with excellent results. who collaborate with Tempocasa, I could find every solution for your needs, like piumutuicasa, the corporate branch that deals with credit and subsidized loans for all our customers. the possibility of facing the purchase of your PROPERTY with the utmost serenity and seriousness. Finally we also offer the following services: removals, renovations and furnishings. FOR ALL YOUR NEEDS WE WILL BE AT YOUR SIDE.